Education – Visions of Hope Foundation, Inc.
CCT- Visions of Hope Christian School was founded in 2011 to provide education to children and youth from the poorest of the poor communities as one way of helping the country break the generational cycle of poverty. The idea of serving young children originated from houses in CCT communities where fellowship group meetings of the microfinance ministry under the CCT Credit Co-op were held. Community partners often brought their young children with them to these meetings where the children grabbed their focus away from the fellowship. It was then that some branches began to offer child care services while fellowship meetings were held. In 1998, Sabado Klase/Saturday Classes were taught by volunteers to help improve children’s literacy and numeracy. Soon after at the same year, Unang Hakbang kindergartens in Tondo and San Andres, Manila and Tatalon, Quezon City were formalized. In time, CCT thought of establishing preschools in open or rented spaces near the branches. 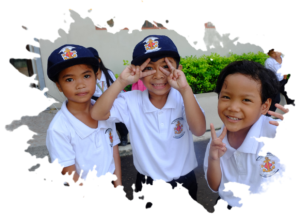 In 2011, Visions of Hope Christian Schools were established in marginalized areas of Luzon where quality Christian education is not easily accessible, including Payatas, Quezon City; Montalban, Rizal; Angeles, Pampanga; and Cabanatuan, Nueva Ecija. CCT-VOHCS also partnered with Brigade Philippines in 2013 and implemented Brigada Bata in all CCT-VOHCS schools. CCT-VOHCS had undergone different changes in its Kindergarten curricula through the years, from the Basic Life Empowerment and Support Services (BLESS) to School of Tomorrow’s Accelerated Christian Education. For School Year 2014-2015, the school decided to develop their own curriculum, called the Transformational curriculum, which enhances the Department of Education’s standard curriculum using values and principles from the Bible. Through each kindergarten in the community, children will achieve good health, become well-mannered, obedient and respectful; qualify for grade one, have the confidence to show their talents and are able to express their faith in word and deed. 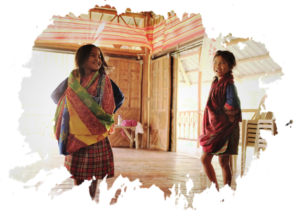 For School Year 2017- 2018, the school decided to shift to K-12 for its elementary schools, and developed a culture-based education curriculum, focusing on the Blaan tribe. Maximizing the potential of our cultural resources, the school hopes that the each student contributes to the regeneration of their culture, restoration of the dignity of their tribal communities and rootedness in their history and cultural heritage.